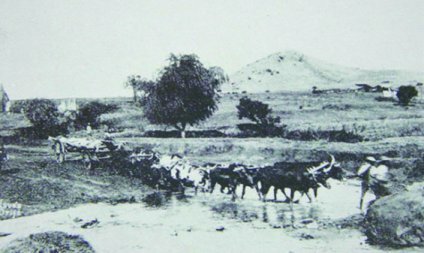 Hove’s Drift is a name given to an area where an ox wagon road to Nijlstroom crossed the Apies River to the north of Pretoria during the second half of the 19th century. The name is derived from Theodore Hermanus Hove, who was a son of a German soldier from Pomerania who was brought to Stutterheim in the Eastern Cape by the British during the 19th century. Theodore settled in Pretoria where six references to him appeared in newspapers and documents under the names Hove, nine as Von dem Hove, eight as Van den Hove, four as Von der Hove and one as Von den Hove. MW Pretorius. Hove rented the entire house in 1873 and sublet various rooms to government departments, which included Pretoria’s first post office. In 1877, the year when the municipal board was formed, Hove became a member of the board. On 1 April 1878 the central section of his house was transferred to him and a year later his wife, Hermine, bore him a son. The boy died at the age of four in 1882 and a daughter was born during the same year. 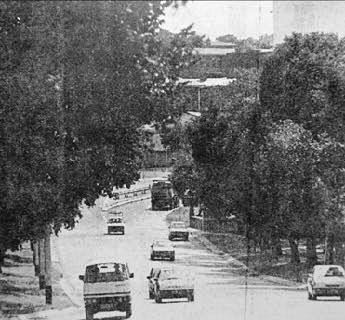 At that time Hove lived on a plot at the northern part of Pretoria, which was separated from Eddie Meintjes’ property by a road crossing the Apies River towards Nijlstroom. On maps no bridge was indicated, which means that the ox wagons had to go through the river at a point that was to become known as Hove’s Drift. Hove was mentioned as having owned two mills, one in the vicinity of Hove’s Drift and the other further down close to Marabastad. With no male descendant to carry on the name, no further details about this pioneer Pretoria family are known. On a street name board next to Prinshof Street the name Theodore Hove can be seen. This name reminds us of Hove’s son who was buried in the Pretoria cemetery. 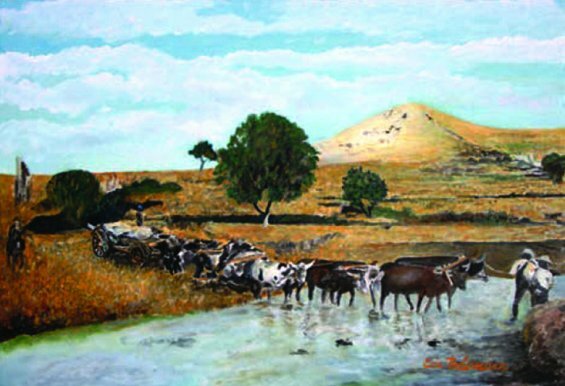 The pyramid-shape hill seen in the painting is Meintjeskop on which the Union Buildings were later erected. Both Henk Pierneef, who lived close to Hove’s Drift, and Pieter Wenning painted numerous views of Meintjeskop from the same vantage point early during the 20th century.